The concept of driving a car with zero harmful emissions, one that is very quiet and is very low maintenance, and does not need an expensive fuel source has been the ideal of many inventors for a long time. A solar powered vehicle is an ideal sustainable solution for the transportation as it doesn’t require costly and scarce fossil fuels. 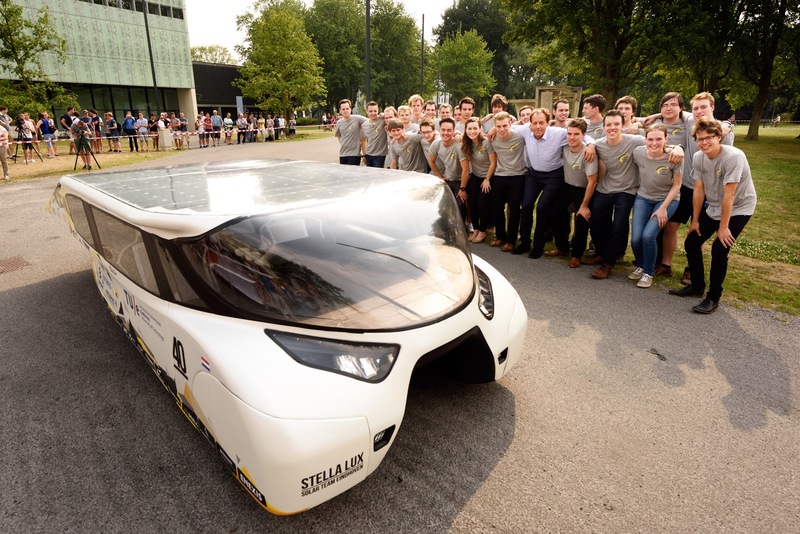 The World Solar Challenge encourages teams to push the limits of technology. The World Solar Challenge is the ultimate race for solar-powered vehicles. In friendly competition with others attempting the same goals, the teams depart Darwin aiming to be the first to arrive in Adelaide, some 3000km to the south. Stella Lux, a new and improved family-sized car invented by a team of Dutch students, is not only entirely powered by solar, but it can even generate extra power just in case. 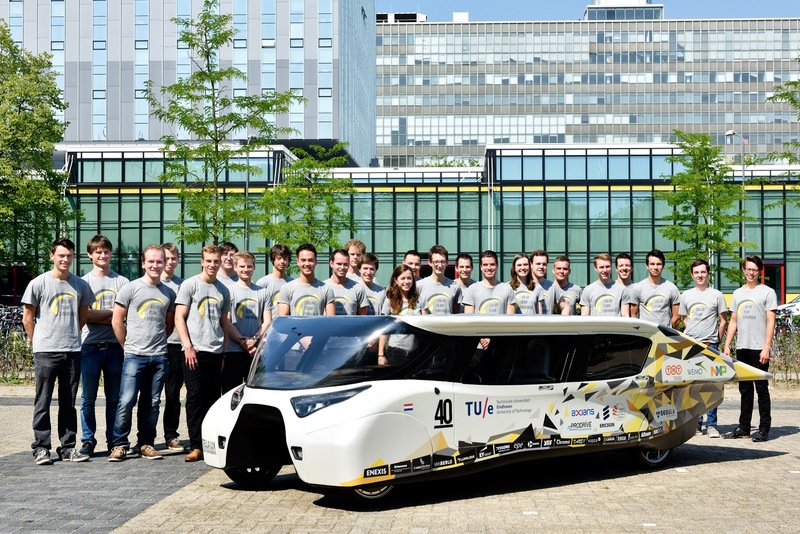 This car could reach the speed of up to 125 kilometres per hour and the vehicle can clock over 1,000 km on a full charge. The car, Stella Lux, generates electricity via 5.8 sq m of solar cells and has an additional battery capacity of 15 kWh. Stella Lux is made of carbon fiber, which makes it extra light (827lbs to be precise). It also has a tunnel right in the center and an extended roof on the sides, both of which contribute to incredible aerodynamics. One of the main extras is the specially designed navigation system that monitors weather conditions and calculates the optimal route accordingly. As with every new electric vehicle, it can be connected to a smartphone with an app for convenience and better synchronization. The Stella Lux also has a very fancy looking touchscreen that is specifically tweaked so that it can be operated while the driver keeps his/her eyes on the road.